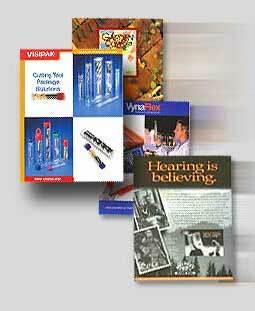 Need to develop a product catalog or design a print brochure? to convince store buyers, and conveying the intricacies of industrial components or services is what we do. Whether you need a business flyer, sales brochure, catalog or other marketing materials we have the design and marketing expertise to deliver. We realize many companies have limited internal marketing services, for these companies our experience can help make brochure and catalog development easier. Logo, Copy and Photography is what we need to get started on your sell sheets or sales literature. We can use what you have, add to it or simply start at the beginning with a step-by-step review that will walk us through the features and benefits of your products and services. And best of all we accomplish this at a reasonable cost because we have design, copy writing, and photography in-house. New! Brochure Templates or Flyer Templates - Ad Agency quality ready built designs for fast and inexpensive brochures you edit yourself. Portions Copyright Packaging Graphics 2001- . All rights reserved.